Back in 1986 Frank Oz, director of Dirty Rotten Scoundrels, What About Bob?, Bowfinger, The Score, and Death at a Funeral; as well as the voice actor behind Yoda, Muppets Miss Piggy, Fozzie Bear, and Animal; and Grover, Bert, and Cookie Monster on Sesame Street among others, directed Little Shop of Horrors. 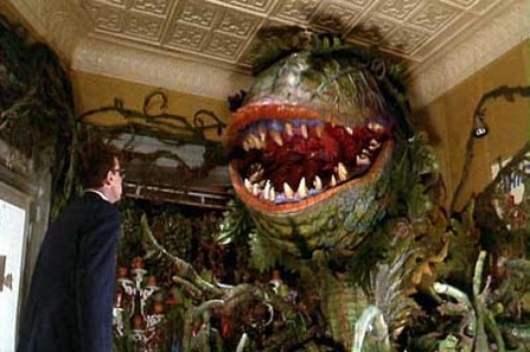 The movie was based on the off-Broadway musical of the same name from Alan Menken and writer Howard Ashman, which was itself based on the low-budget 1960 Roger Corman movie The Little Shop of Horrors. Now a new remake of the title is in development at Warner Brothers, and they’ve found a director for the project. It’s being reported that Greg Berlanti will direct the remake, from a screenplay written by Matthew Robinson. 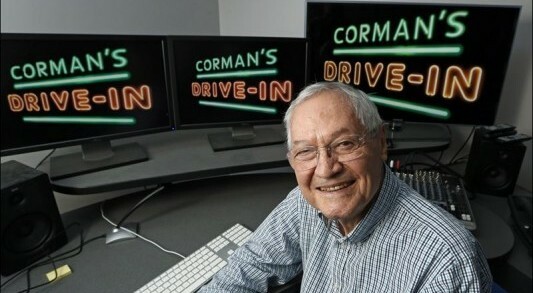 A month ago, we reported that legendary producer Roger “King of the B’s” Corman was starting a subscriber-only YouTube channel this summer called Corman’s Drive-In that would bring an extensive catalog of over 400 films he either produced, directed, or both to the Internet. Corman’s Drive-In is now officially open for business and we have some other crucial details for you. The channel will feature a rotating selection of 30 titles that will be refreshed every month and it will all be made available to viewers for the low monthly price of $3.99. It will premiere with a double feature of the first two films Corman made with future Oscar-winning Hollywood icon Jack Nicholson: the 1958 exploitation drama The Cry Baby Killer and 1960’s man-eating plant comedy Little Shop of Horrors, the latter the inspiration for the 1986 musical remake and the off-Broadway show it was based on. 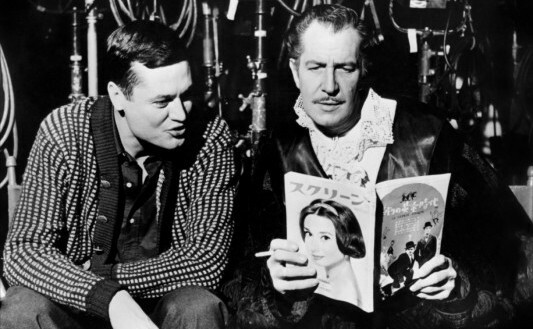 Roger Corman may be known to most as the premiere producer of some of the finest exploitation movies ever made, but to those in the know he is also one of the most important and influential figures in the entertainment industry. Many of Hollywood’s finest talents on both sides of the camera owe their careers in some part to the go-for-broke tutelage they were given by working for Corman, including filmmakers like Francis Ford Coppola, Martin Scorsese, Robert Towne, Peter Bogdanovich, and Ron Howard, and actors like Jack Nicholson, Peter Fonda, Dennis Hopper, Bruce Dern, and Robert Englund. Corman is a legend, and that is the undisputed truth. This summer Corman is bringing a catalog of over 400 films he produced and/or directed to the vast cybernetic landscape of the Internet as he launches Corman’s Drive-In, a YouTube channel that will offer up his films for viewing for a fee still yet to be determined. 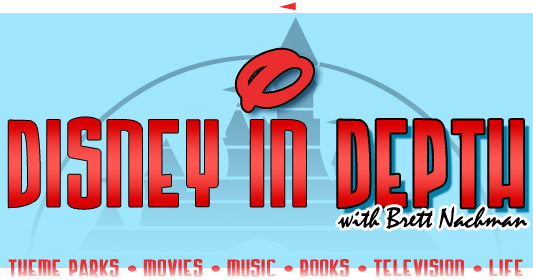 For many attendees of the Destination D experience, the last event was perhaps the most special, in that “An Evening with Alan Menken” touched the hearts and souls of everyone who has ever wanted to hear the master of his craft live. Alan Menken, the composer behind the films and songs we know by heart, presented the most extraordinary two hours of music I have ever heard – and seen – in my life. Now that’s quite a statement. Some may call that a bit exaggerated, but as a devoted Disney fan, like almost all of my fellow audience members, we knew the gift we were being presented. Menken rarely performs publicly, so to hear his legendary stories and songs in person made this even more winning. 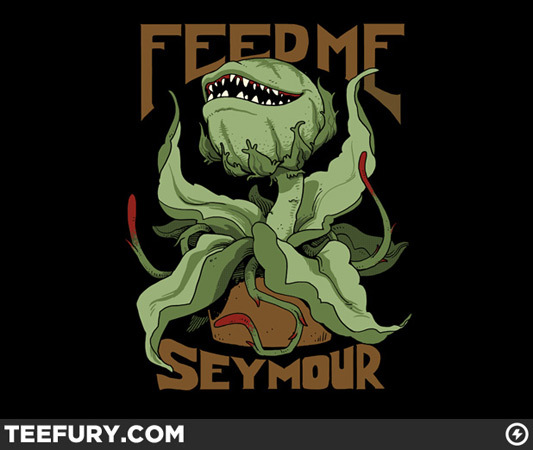 The $10 t-shirt deal of the day over at TeeFury today is a Little Shop Of Horrors-themed shirt called “Big Bad Mother” by spyyderray. The sale began at Teefury today, Sunday, July 1, 2012, at midnight EST, and will continue for 24 hours from then, and once it’s over, it will not be sold on the site anymore. This Fall, the 1986 Little Shop of Horrors get the Blu-ray Book Pack treatment, with a Director’s Cut edition which will include a 20-minute restored alternate ending and 40-page booklet. Little Shop of Horrors began life as a horror-comedy that was shot in three days by director and B-movie legend Roger Corman and released in 1960. More than two decades it was brought back to life as an off-Broadway stage musical that ran for over 2,200 performances and at the time was the highest-grossing off-Broadway production ever produced. 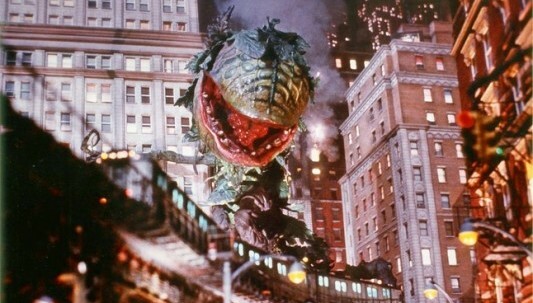 In 1986, movie producer and music mogul David Geffen took Little Shop of Horrors back to the big screen in a $25 million musical extravaganza directed by legendary Muppet performer and filmmaker Frank Oz and starring Rick Moranis, Ellen Greene (who also starred in the off-Broadway show), Steve Martin, Vincent Gardenia, James Belushi, John Candy, and Bill Murray in an inspired cameo based on Jack Nicholson‘s performance in the 1960 original. It went on to become one of the year’s big hits in theaters and on home video, and at the following year’s Academy Awards the movie earned two nominations for Best Visual Effects and Best Original Song. Unfortunately the film lost in both categories to Aliens and Top Gun, respectively. Are you excited by the thought of a brand new take on Little Shop of Horrors to hit the big screen? Well, one way or the other, it looks like it’s happening. It’s being reported that Joseph Gordon-Levitt, star of Inception and the upcoming super-sequel The Dark Knight Rises, is developing a new remake of Roger Corman’s 1960 comedy, The Little Shop of Horrors (which starred a one Mr. Jack Nicholson) for Warner Brothers. It’s also likely that if the project comes to fruition, Gordon-Levitt would star in the role of Seymour.